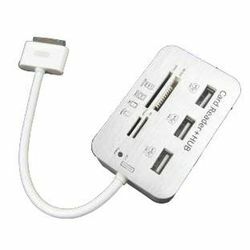 High speed and 4 ports USB 2.0 HUB. Supports transfer rate upto 480 mbps. Compatible Windows 98SE, 2000, ME, XP, VISTA, MAC OS X, & iPad 1/iPad 2 series.